The classic shape of this chair gets a modern makeover to make it a perfect choice for any room. It features a beautifully sculpted English arm, a semi-attached back for easy maintenance, and striking high tapered legs. Notice the shaping on the side, tapering from front leg to back. 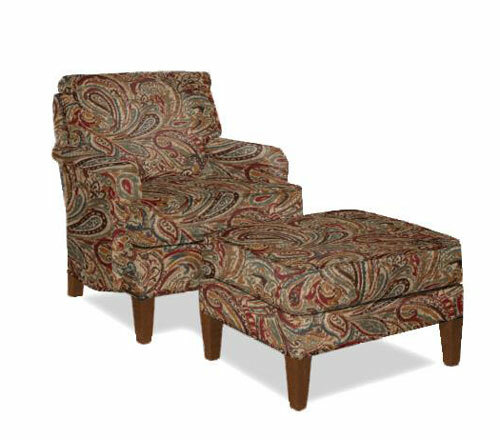 This generously scaled chair is plush and comfortable and makes up nicely in a variety of fabrics.